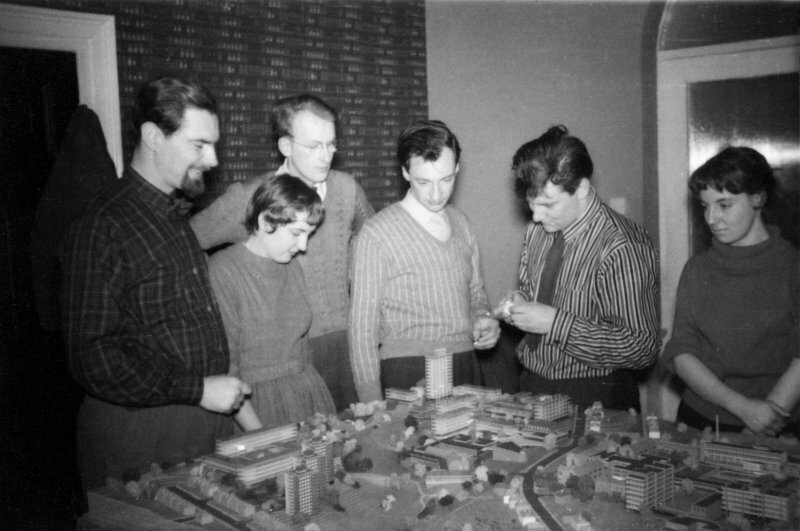 Members of Basil Spence and Partners studying the Southampton University master plan model in the lower drawing office at one Canonbury Place. Left to right Hugh Pope, Anne Spencer-Wilkinson, John Peverley, Jack Bonnington, Brian Nicholls and Gillian Blee (nee Spence). 1 Canonbury Place. 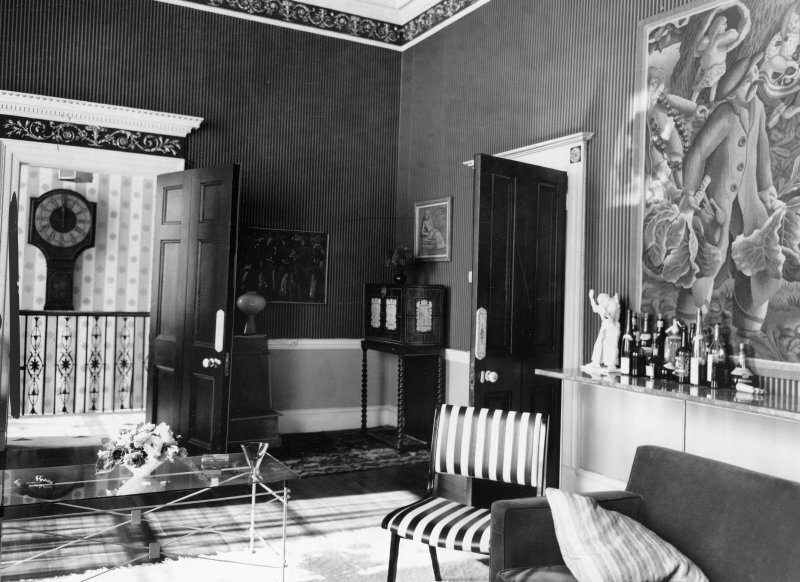 View of sitting room. 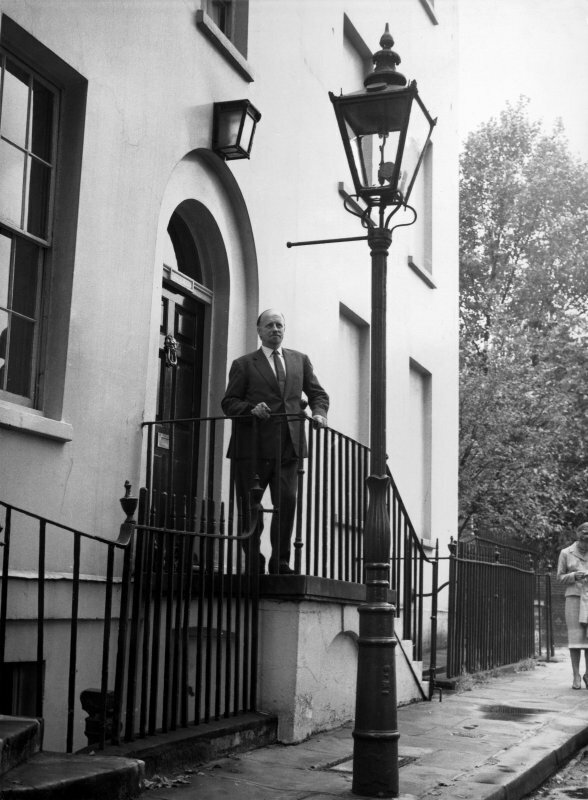 Sir Basil Spence outside his home and office at 1 Canonbury Place, London. 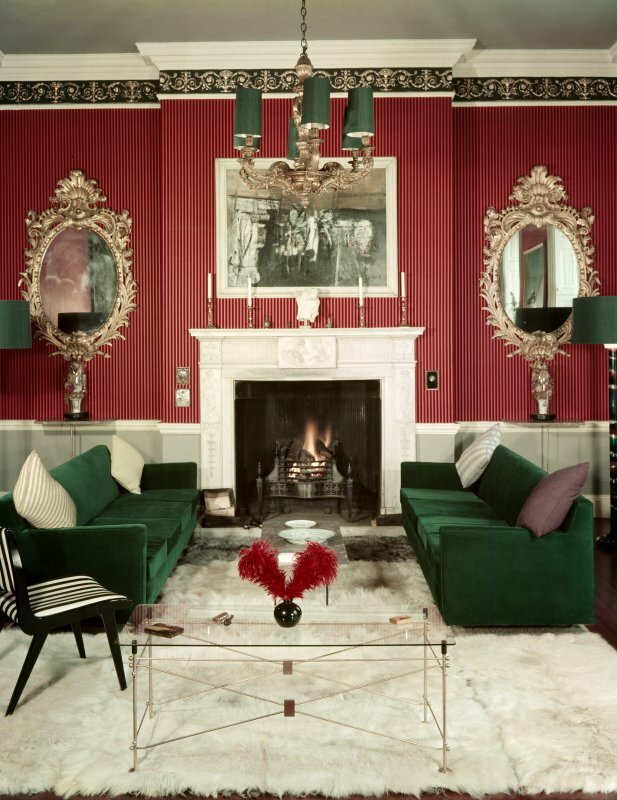 1 Canonbury Place. View of hallway and stairs. 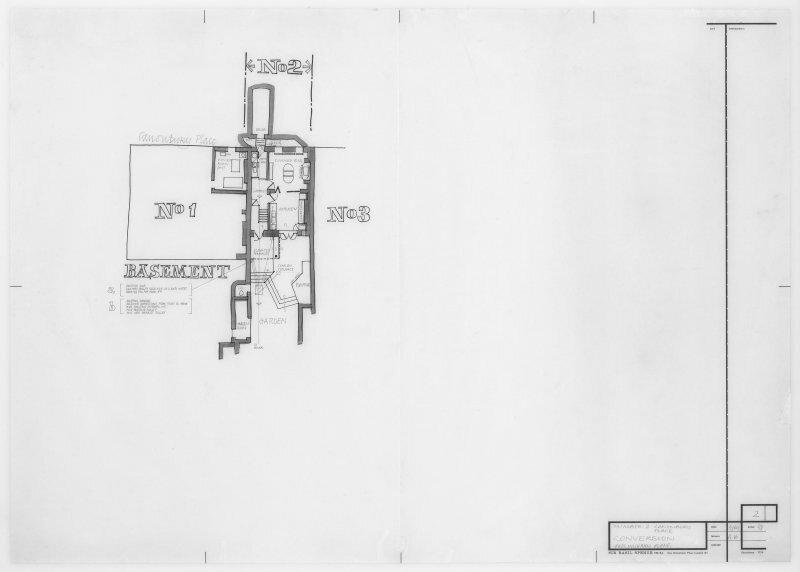 Plan, section, and elevation for existing layout. 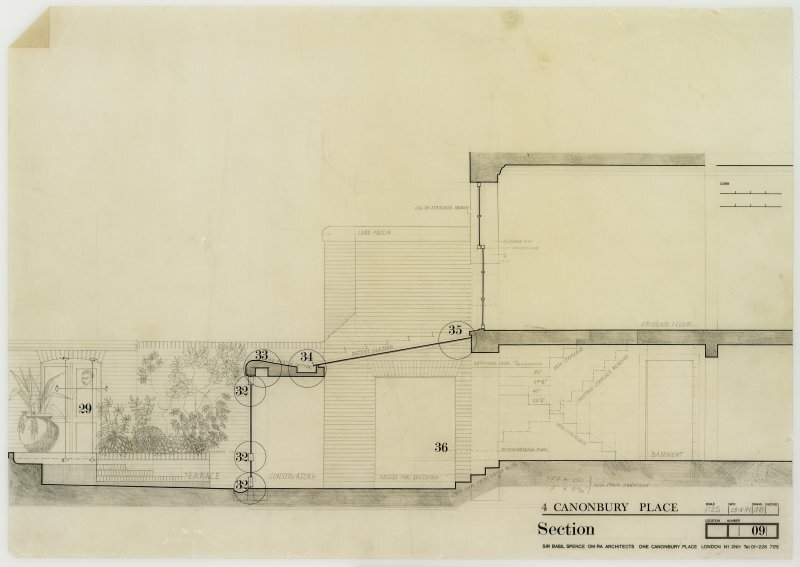 Detail of S wall basement opening. Letter. C and J Brown of Newington House Furnishers Limited. 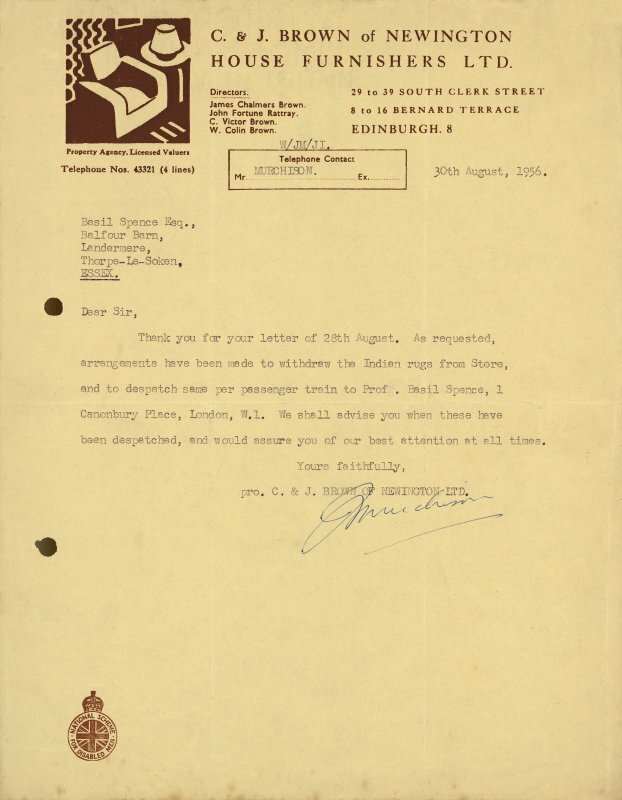 to Basil Spence regarding delivery of rugs. 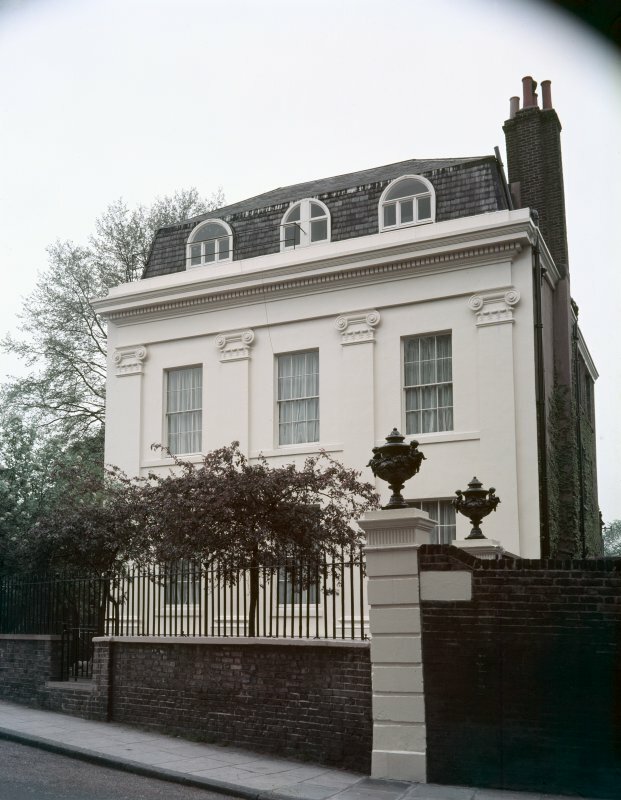 1 Canonbury Place. Exterior view. 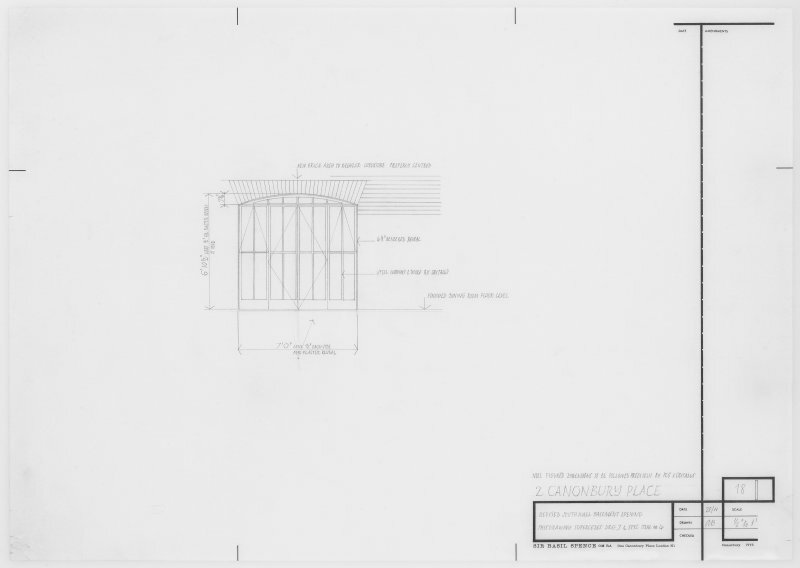 Plans and sections of new bathroom. 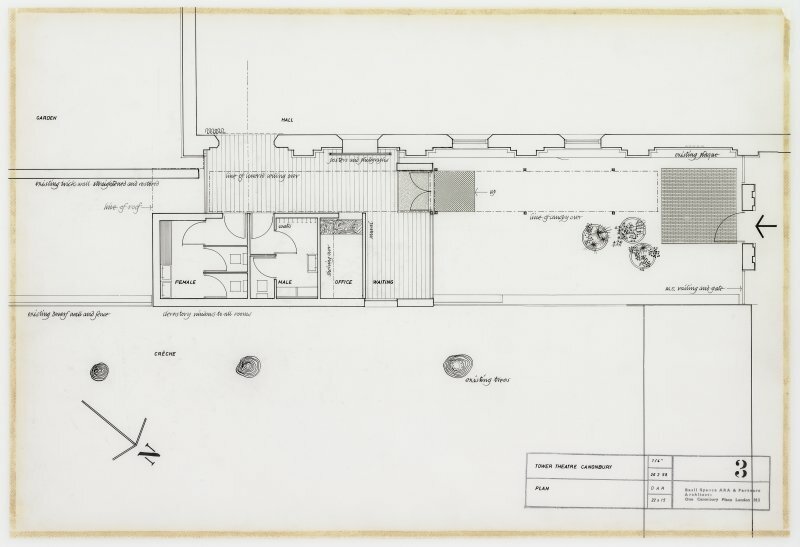 Ground and terrace plan showing proposed alterations and new bathroom. 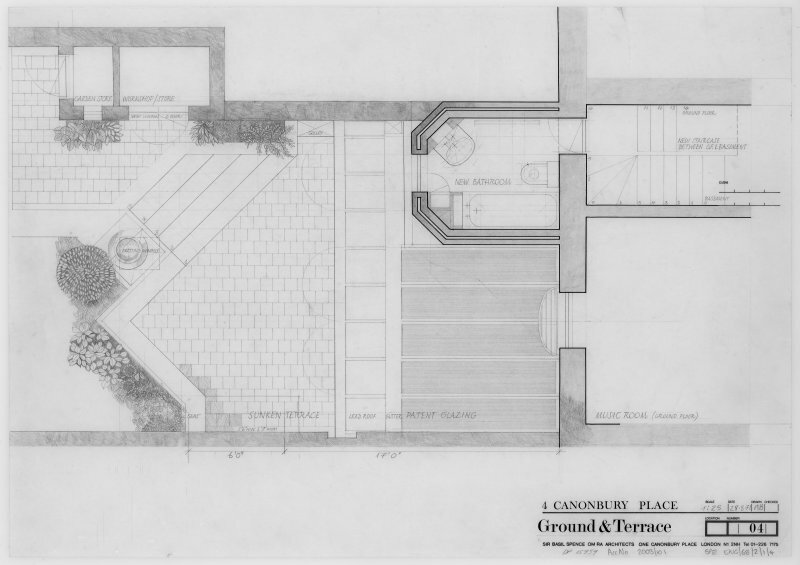 Preliminary plan for proposed conversion. 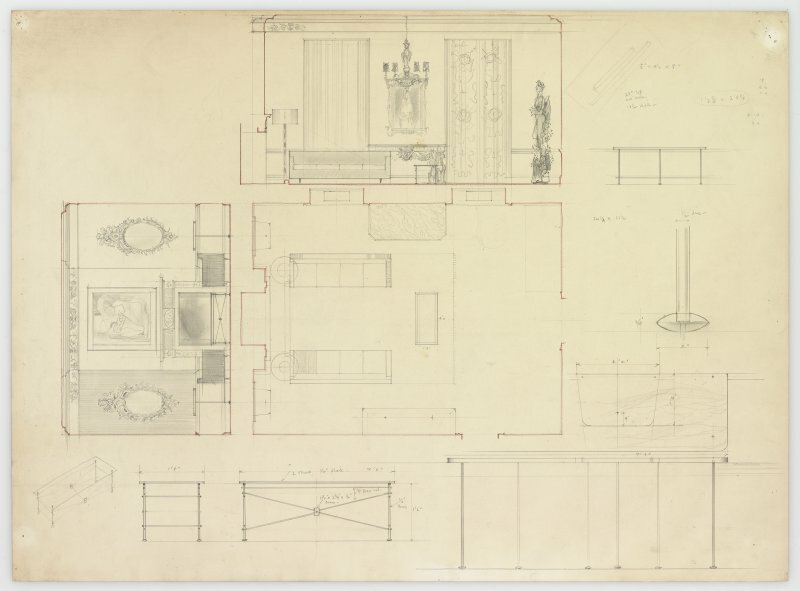 Details of sitting room layout and furniture. 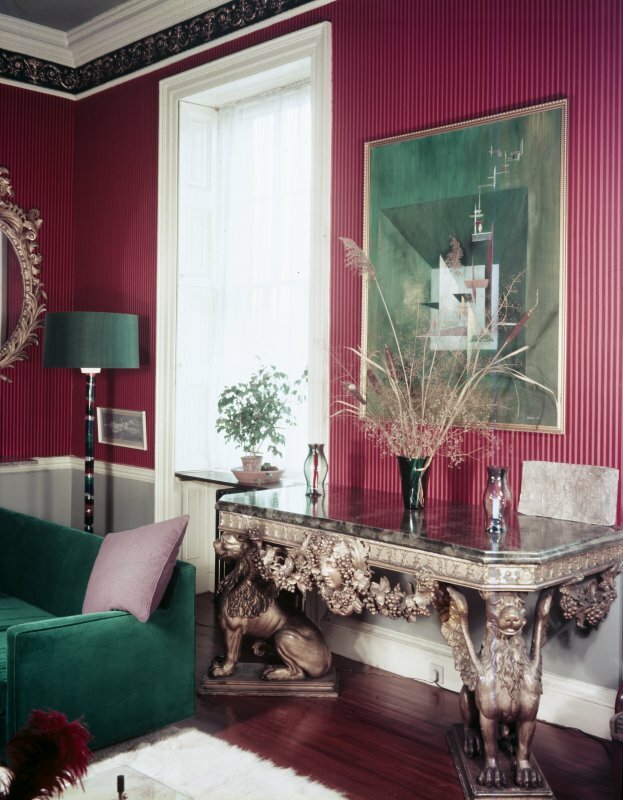 1 Canonbury Place. 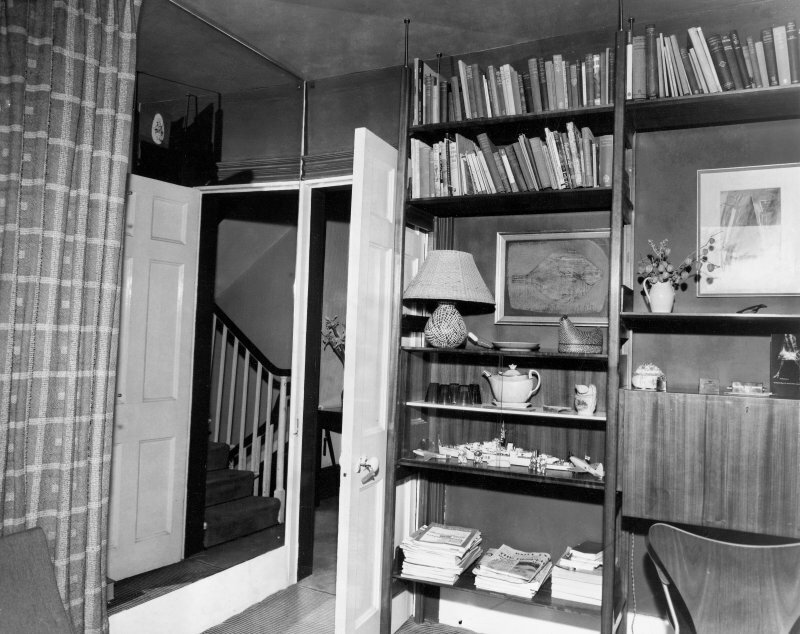 View of study. 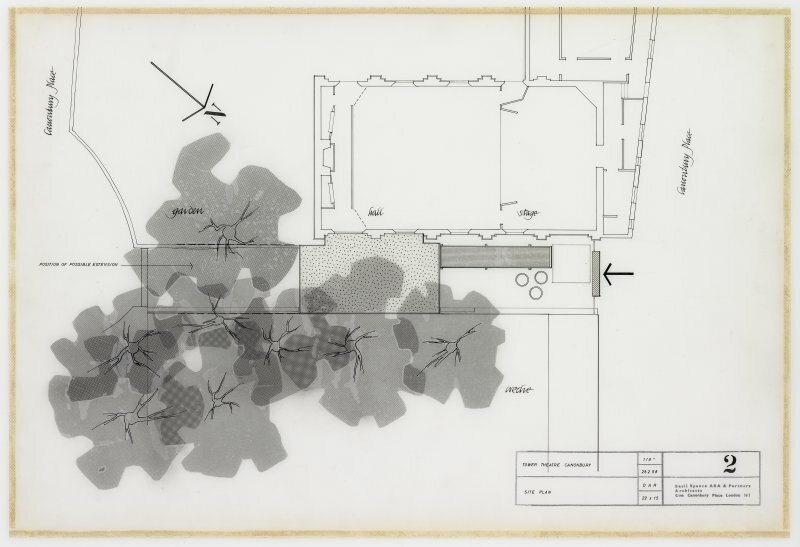 Basement plan showing proposed alterations. 1 Canonbury Place. Interior view. 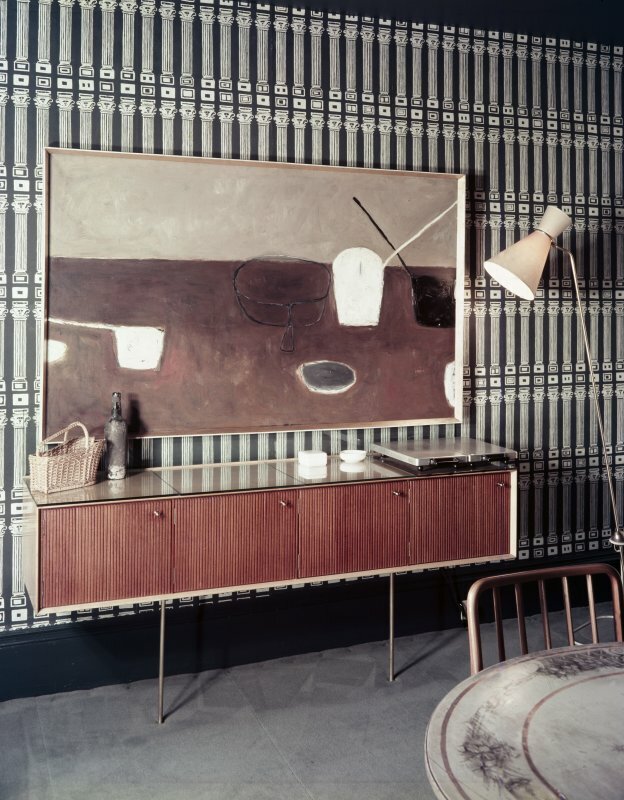 In 1964 Basil Spence and his family moved from their flat above the office at 1 Canonbury Place into 2 Canonbury Place. They carried out extensive refurbishment and decoration to the building and created more office space at Number 1. 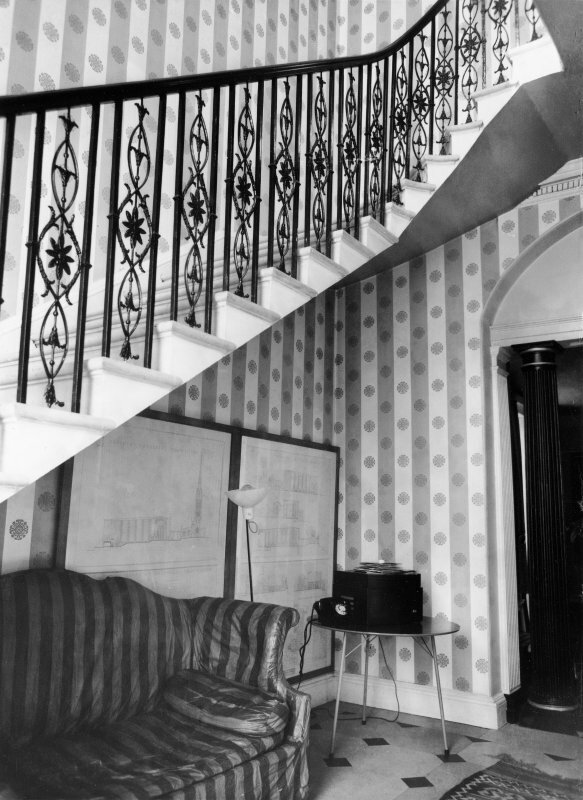 The two buildings were inter-connected: Spence's study, which was in Number 2, was linked to his secretary in Number 1. 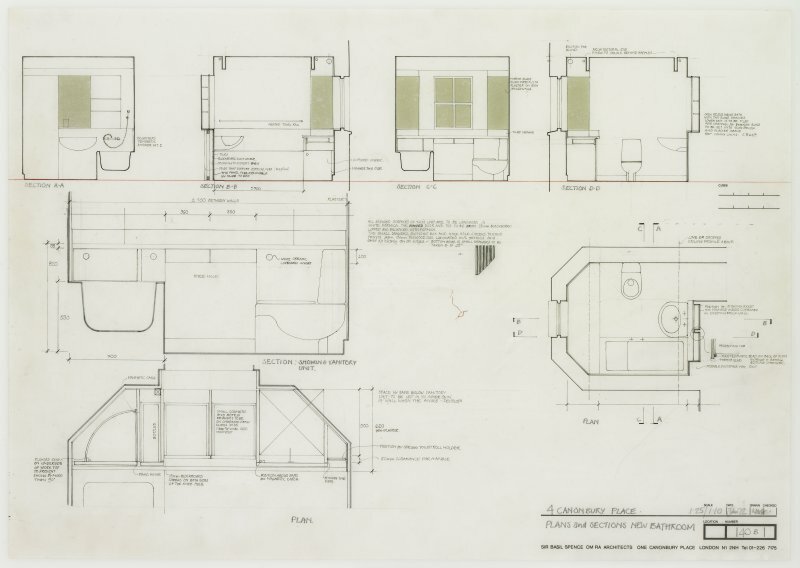 The Sir Basil Spence Archive holds 21 manuscript folders on this project which include receipts, correspondence and trade literature relating to furnishing and fixtures as well as notes and sketches on internal refurbishments and alterations. 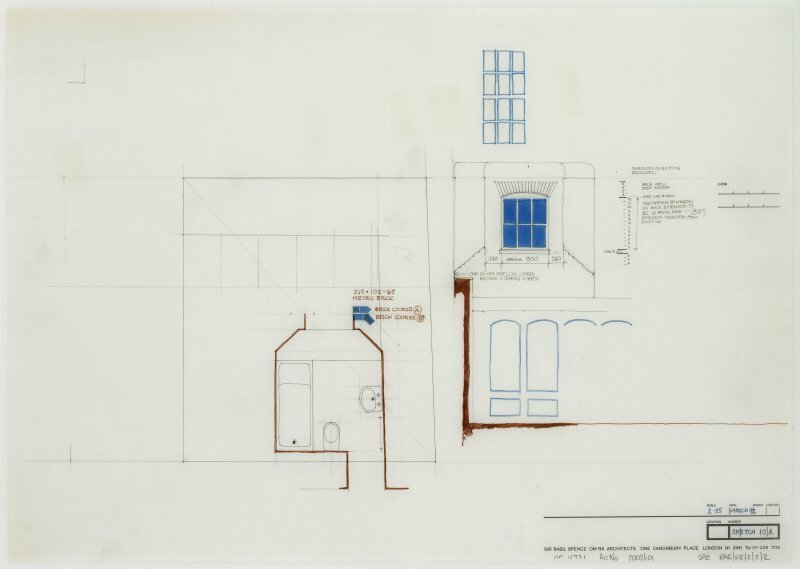 The Archive also holds 13 drawings for this project which include sketch plans showing alternative layouts for the bathroom as well as sections through the dining room. 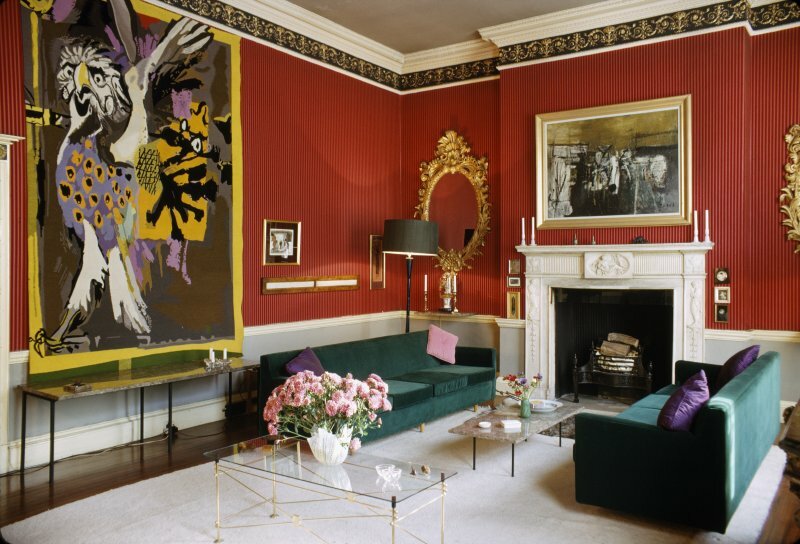 In the early 1970s Sir Basil Spence's daughter Gillian and her husband Anthony Blee, a partner in the practice, took the lease on 4 Canonbury Place to use as their family home. 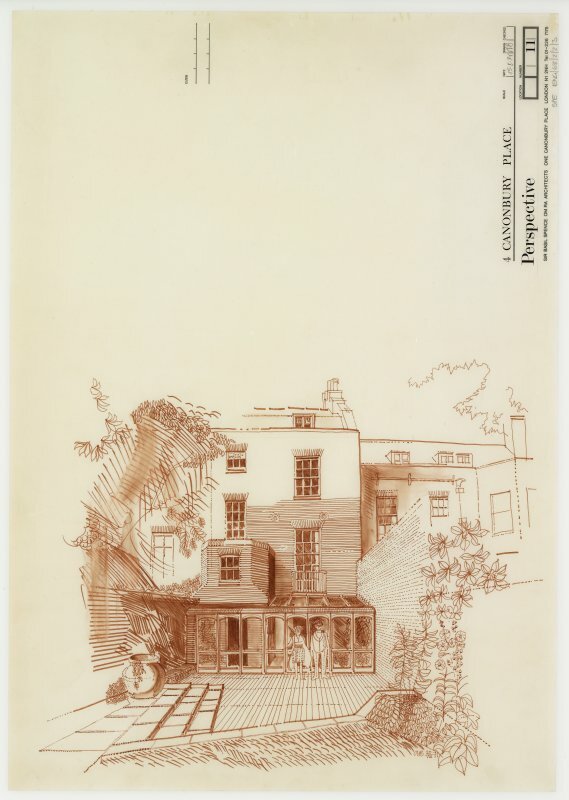 This property sat alongside the practice office at 1 Canonbury Place and Basil Spence's own home at Number 2. 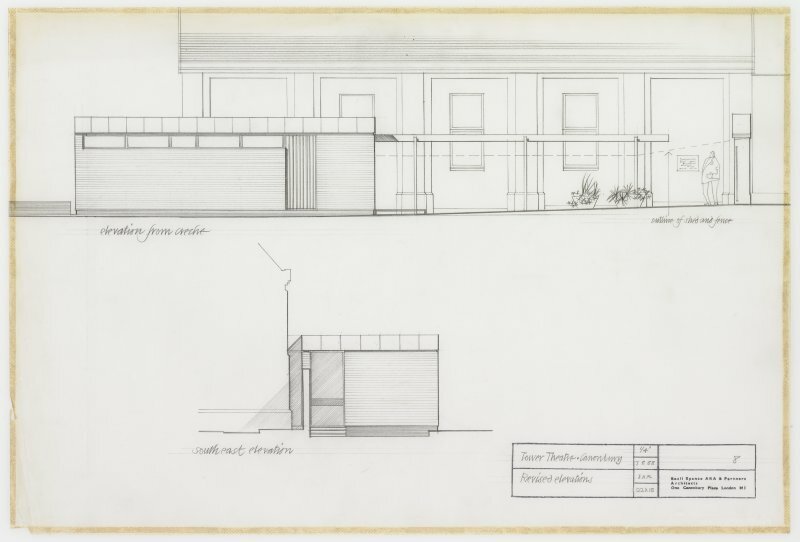 The Sir Basil Spence Archive holds 51 drawings for alteration and extension works including Anthony Blee's designs for a conservatory and laundry and bathroom extension. 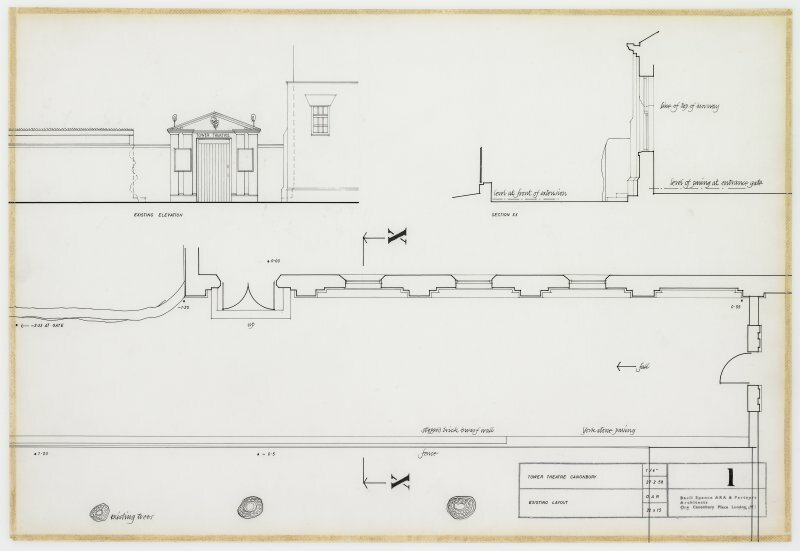 In 1958 Basil Spence ARA and Partners were appointed to design an extension to Canonbury’s Tower Theatre, the home of a highly regarded amateur group, for the Northampton Estate. 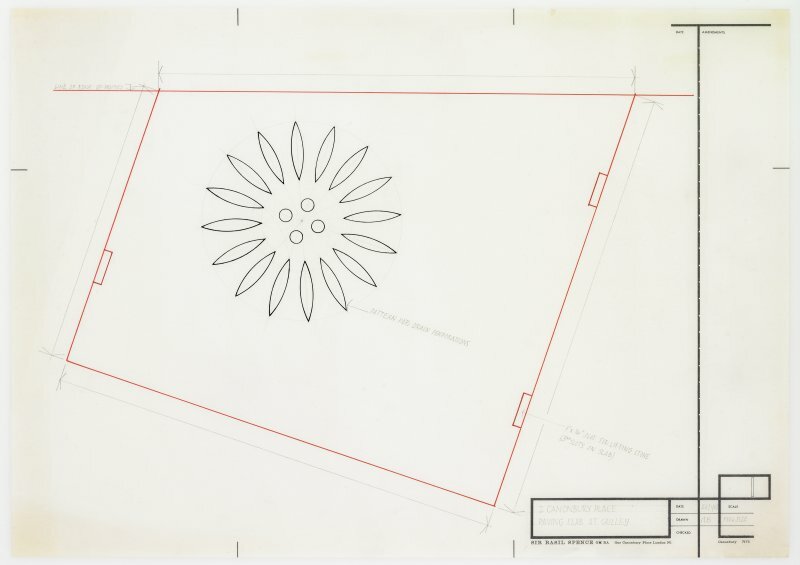 The project, which was worked up by David Rock, was not executed. 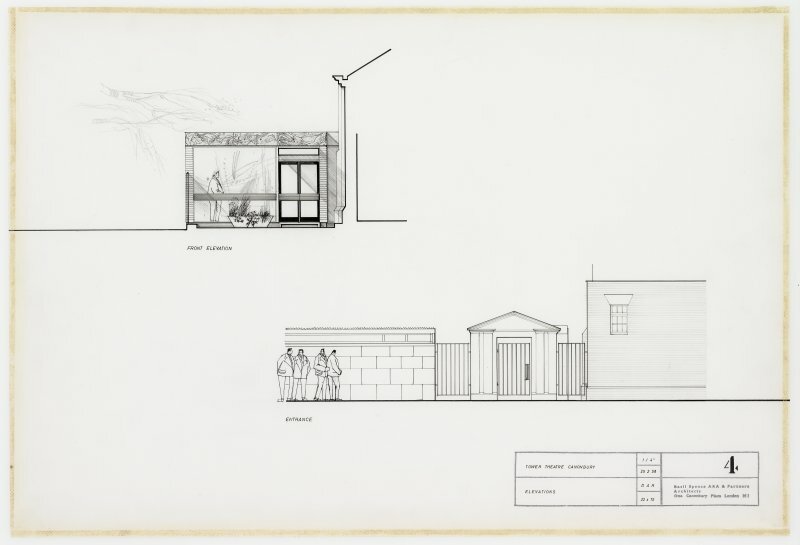 The Sir Basil Spence Archive holds one photograph and eight drawings relating to the project. 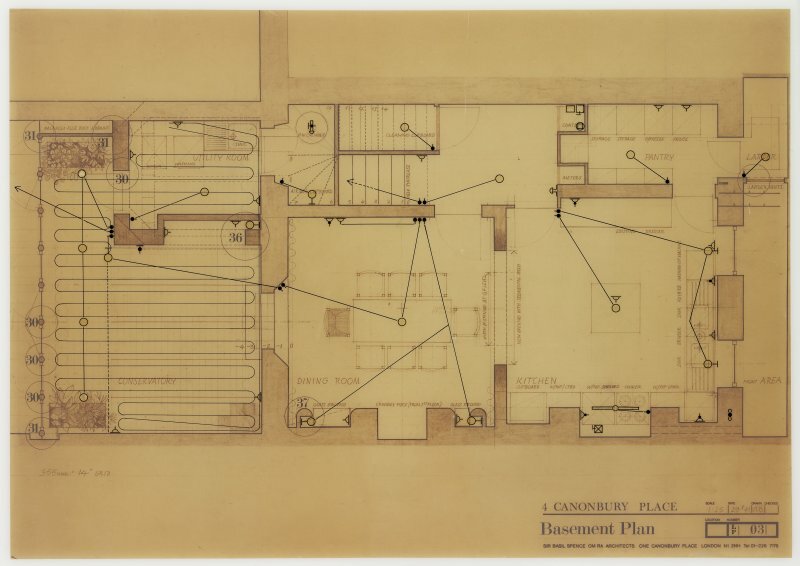 In 1953, two years after winning the competition to design Coventry Cathedral, Basil Spence and his family moved to London to occupy a flat above the practice’s London office at 48 Queen Anne Street. 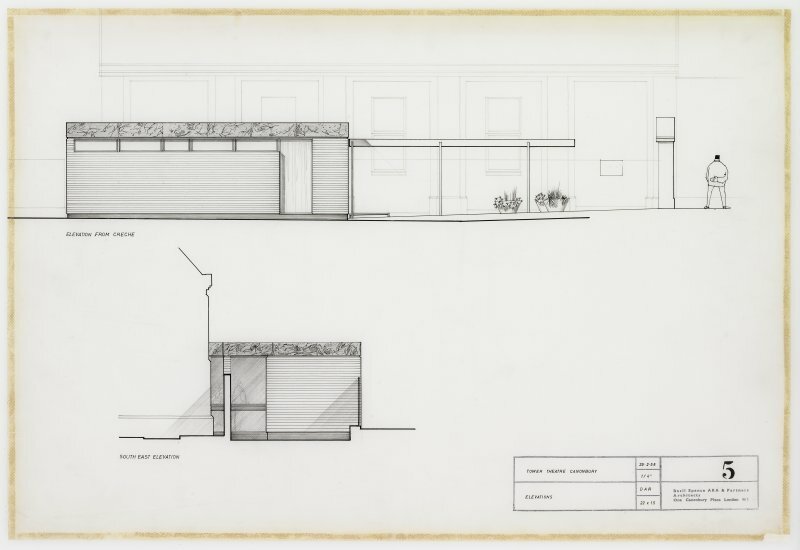 By 1956, the Practice had expanded considerably and Spence and some of the Cathedral team moved to additional premises at 1 Canonbury Place. Spence’s family also moved there to live, once again, above the office. The office was situated in the end terrace of a Georgian block with a garden to the side and rear. The two upper floors formed the family home with the offices and studios in the lower floors. 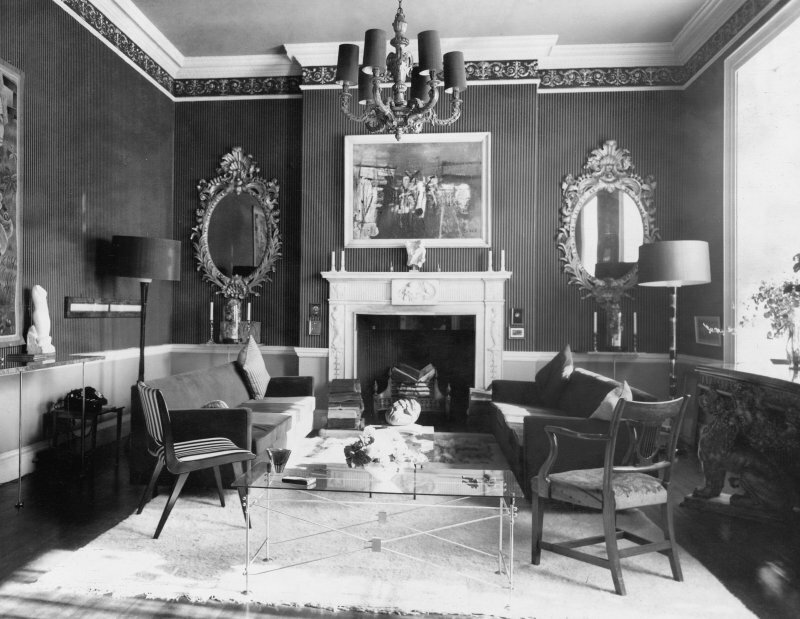 The interiors were decorated with contemporary finishes and furnished with a mixture of antiques and contemporary furniture, some designed by Spence himself. No.2 was subsequently acquired and knocked through to No.1. 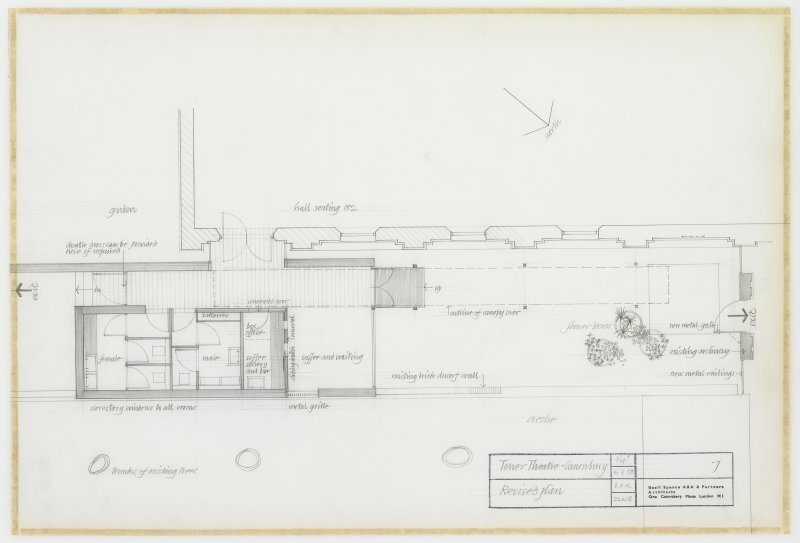 No.4 was later occupied by Spence's daughter Gillian and son-in-law and partner Anthony Blee and their family who adapted the building with an extension to the back in 1971. In 2011, a blue plaque was installed on the facade of 1 Canonbury Place to mark Spence’s occupation of the building during the most prominent part of his career. 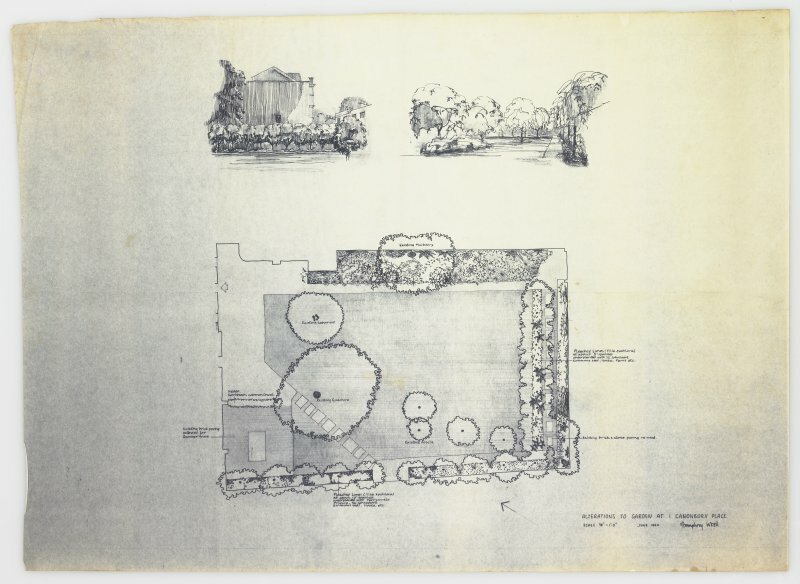 The Sir Basil Spence Archive holds nine manuscript folders which include several journal articles showing Basil Spence in his home as well as correspondence and receipts relating to the decoration and alteration of the office and house. 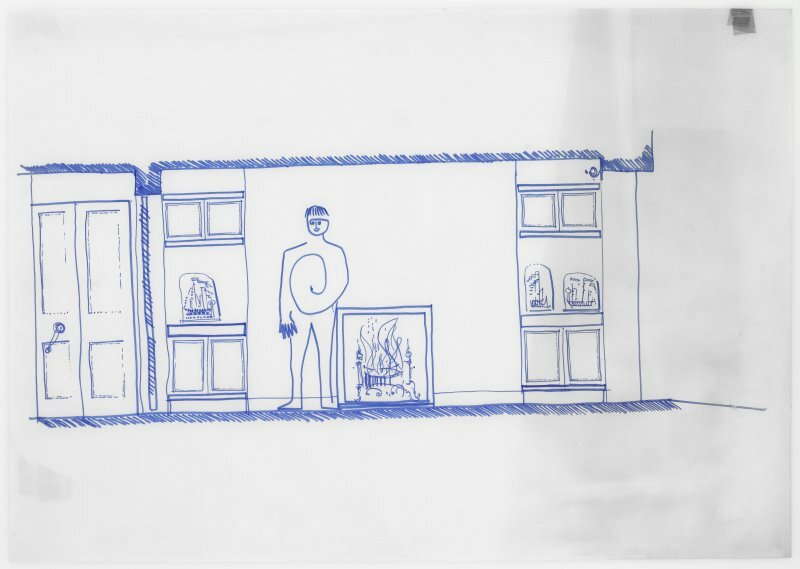 The 17 photographs include interior views; the four drawings include layout plans of the sitting room and the garden.